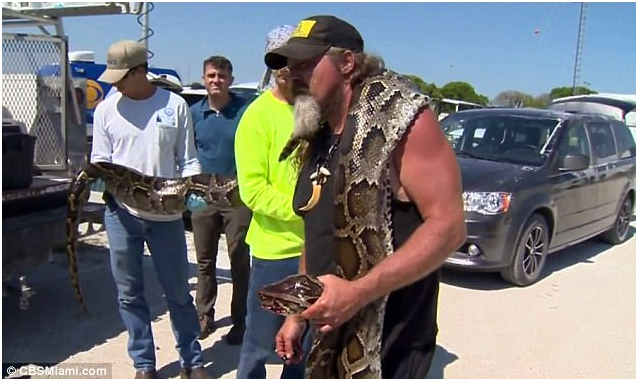 With using his bare hands, a man in Florida caught a close to 17-foot long python, making it the biggest python caught in the Everglades National Park. 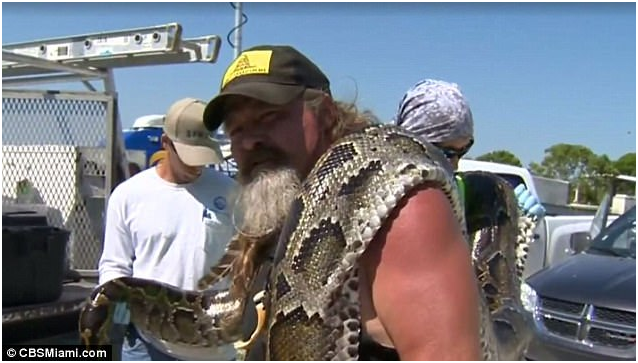 According to authorities, the snake weighed 130 pounds and was 16 feet, 10 inches long. They also discovered that the snake was carrying 78 snakes, which authorities removed to keep the snakes from hatching. The man, Dusty “The Wildman” Crum, said his battle as like Wrestlemania’s Hulk Hogan versus Andre the Giant. Crum’s catch was the result of a project by South Florida Water Management District, which is trying to reduce the python population. Crum also caught the program’s 50th Burmese python – that snake measured a little more than 14 feet long. Crum’s biggest catch so far with the python, which was also the Everglades National Park’s biggest snake so far. Crum is paid $8.10 an hour as well as $50 for pythons he catches up to four feet long. He also receives $25 for each foot after four foot. This latest catch netted him $375, which is the amount he would have received for selling the skin. 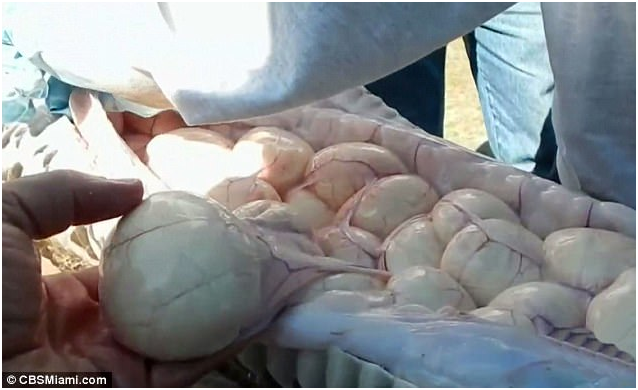 Hunters are also given $100 bonus for catching pythons found to have eggs. 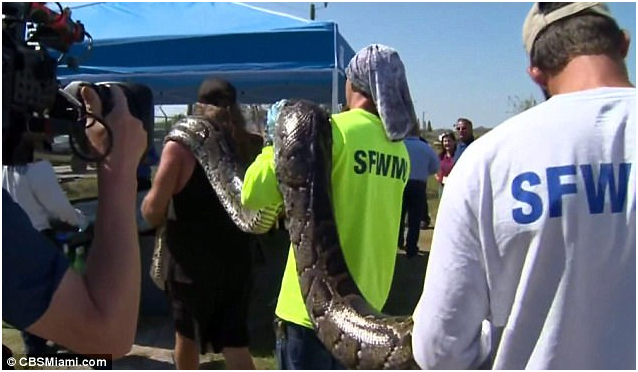 While Crum’s catch is impressive, Florida’s biggest snake record came in at 18 feet, 2 inches and weighing 160 pounds. Researchers believe that are at minimum 30,000 snakes in Florida, although the estimation is up to 300,000 pythons in just Southern Florida. The population is likely to increase and spread if not dealt with. Pythons are known to kill alligators, birds, rabbits and raccoons. The average female python can generate at least 20 to 50 eggs, breeding every other year. The snakes are known to live close to 20 years – some longer. Crum said catching any snake makes a big difference because it keeps the snakes from living in the Everglades. He said anyone that says they’re catching one or two should also be catching more. After all, he said, differences are being made by removing the eggs from the environment. Juan Valdes, a member with SFWMD, said the program began a little more than a month ago and, so far, there have been 78 snakes taken out.